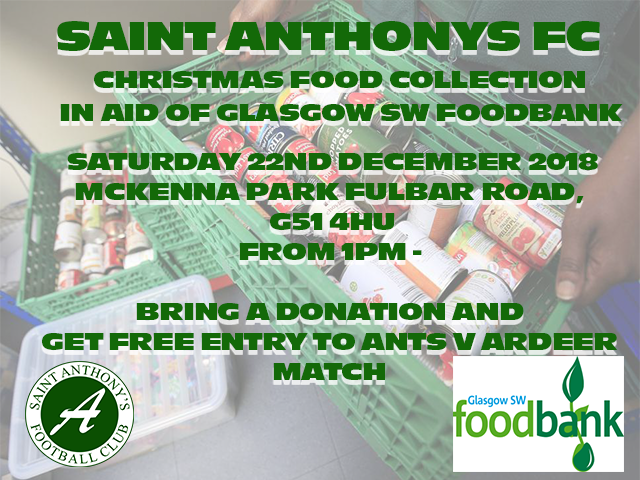 The club have partnered with Glasgow SW Foodbank to arrange a foodbank collection from McKenna Park on Saturday 22nd December. We are scheduled to play Ardeer Thistle that day and we have decided that if you make a donation to the foodbank then you will get free entry to the game as a thank you from the club. 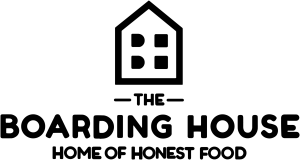 1 in 5 of the UK Population live under the poverty line with more people having to use foodbanks as a necessity just to put food on the table, and demand is only going up, especially at this time of the year. Your donations would be greatly appreciated both by the club and the Glasgow SW Foodbank. Lets all do our bit to make sure theres food on the table for those less fortunate than us this Christmas!